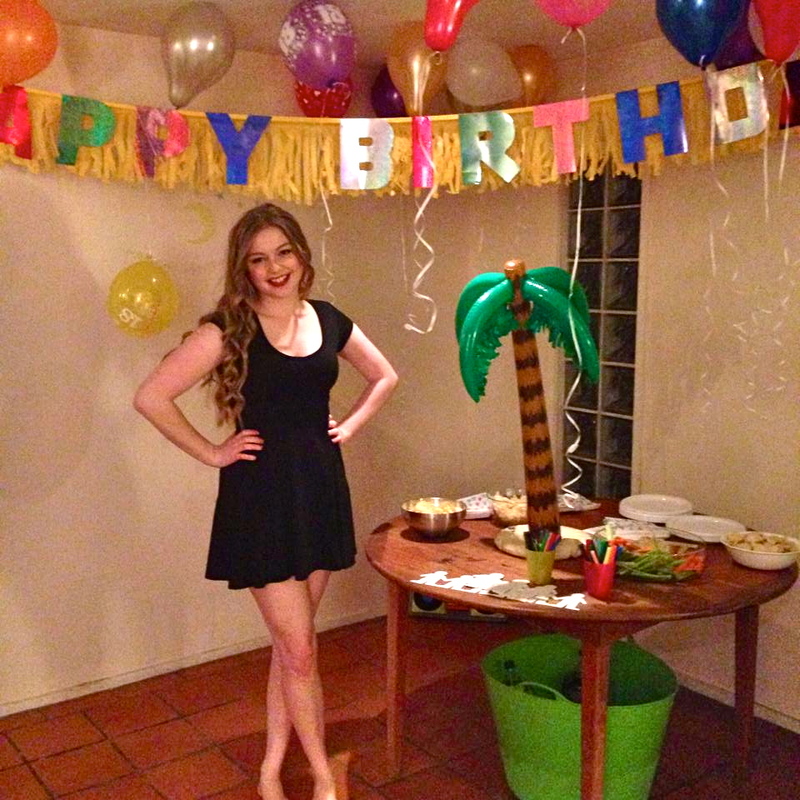 Tales From A Girl Moon: Turning 19. Ahh June the bittersweet Birthday month. For me that is. I am not a morbid person, I have no fascination with death, I have never been a goth or an emo and I get really emotional when anyone dies - movies, books, tv advertisements, the news - anyone. But I can't help being hyper-aware of my own mortality. I have been like this for about 8 years now. The first time I remember being worked up about the fact I was going to die one day was when I was 11 years old and from out of nowhere, my mind went crazy on me, ending in hysterics. Anyway up until my 16th birthday I used to be really excited, over excited actually, about the prospect of my impending age incline. All the attention, the celebrations, the presents, the excitement of alleged maturity growth. And then from 16 years old I started to dread turning another year older. The number slowly but consecutively creeping up every June. It took me 6 months or so to actually feel like the new age I had turned, and then after finally accepting that for about 5 minutes, it would turn into "OHMYGOD i'm going to be x years old in 3 months/3 weeks/3 hours" etc. I could be doing more things." 17 was my best age, for whatever reasons. And for perhaps the opposite of reasons, 15 had been my worst age. That is to date I must stress though: best/worst age to date. Who knows what 19's gonna bring! And poor 16 often gets forgotten, perhaps thats due to the fact I had a Sixteen Candles type birthday that year, with me walking into school on the morning of the 27th of June, 2012, expecting balloons, surprise singing and, AND, even maaayyybeee a cake to greet me! And getting nothing. Until about the 4th or 5th person of our friendship group arrived, just before the bell rang, walked in and quietly said Happy Birthday. So anyhow, here we are, well and truly in the throng of June. And I'm trying to put the brakes on. Trying to take each day as it comes and enjoy every minute, assessments and working included, because I can't deny the fact that I have only just gotten used to being 18 and i'm about to turn 19 with mere weeks till D-Day. It sounds like i'm dying or being shipped to slavery in a foreign country. But no, i'm just a young girl living a fairly privileged life, complaining about turning another year older. And feeling soooo oolldddddd. Like, my youth is literally finished now. Forgods sake i'm still a teenager technically, but I feel like i'm losing my childhood and quite frankly at this age, it is a terrifying feeling. I feel as though I should have accomplished more, I could be doing more things. I mean when you look at history; Anna Paquin winning a Golden Globe at 11, Elvis Presley meeting his future wife when she was 14, Karlie Kloss and Lindsey Wixon making international model status at 16. I guess the pattern i'm seeing here is Fame. And people becoming famous by an age I have already surpassed. As in, it's too late for me. Can you imagine being 15 and poring over Vogue magazines and Tumblr and discovering this 'Tavi Gevinson' character being basically of the same (or similar) description (age and interests) as you, and HER being frontrow at Fashion week, mates with Karl and Anna and starting a magazine at fifteen, NOT you! Very, very frustrating I can tell you. I spent my middle school years dreaming of my post school life, imagining skipping university and moving to London or New York at 17 and doing whatever the hell I wanted and being whoever the hell I wanted. I would spend class literally planning it in my diary, researching where I was going to live, potential job vacancies I would seek out in 5 years time... ugh! And now. Here I am, 5 years later. At University; which I still, come end of high school, didn't really want to do. And feeling old (even though thank GOD I am the second youngest in my class). And feeling dreadfully, dreadfully unaccomplished. Ever so slightly suffocated by this small town, but less desperate to leave it, which makes me wonder, at the end of my degree, in eighteen months time, with 6 months to go until my 21st are my dreams, finally, ultimately, going to become a reality? How is this story going to end?